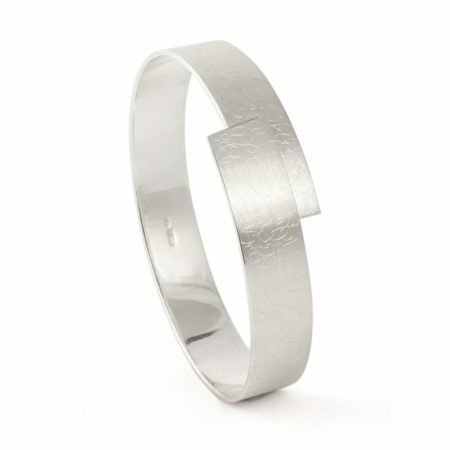 Angles, textures, silver, gold and a diamond! And all in the one ring! 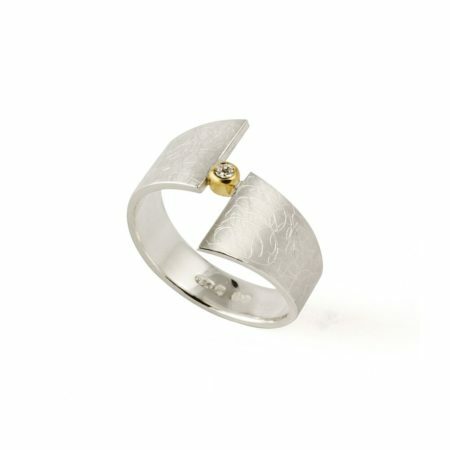 This is the narrowest of the rings in the Eclipse collection, and it works so well! 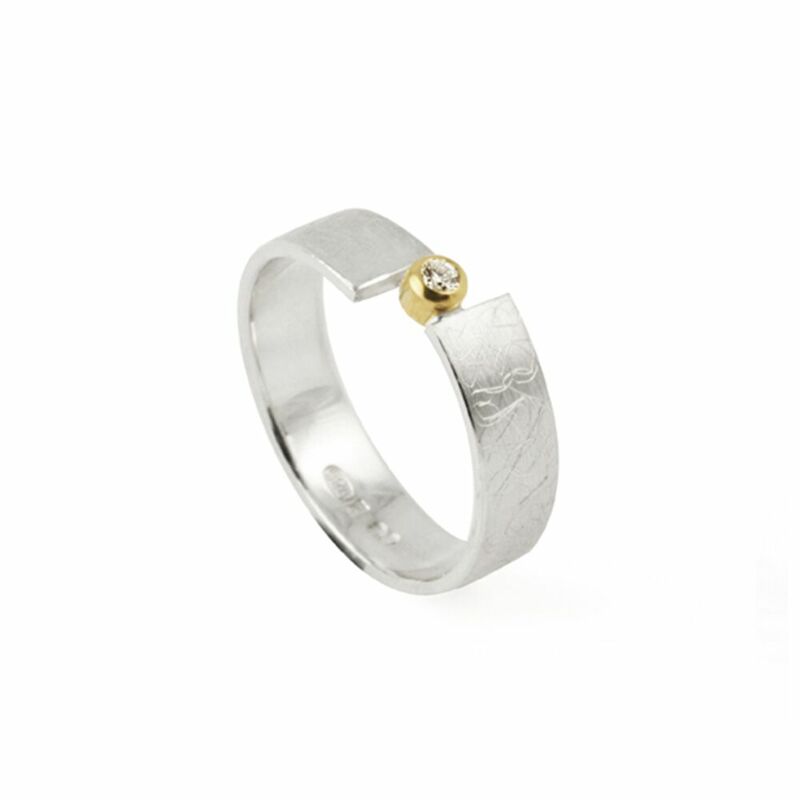 The focal point is the diamond set in the middle, in 18ct gold. 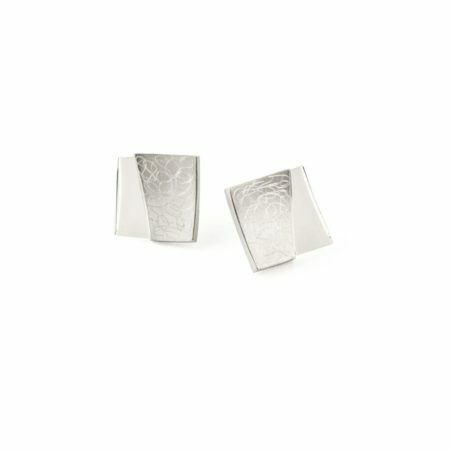 The textured finish of the cool silver contrasts so well with the warm gold. 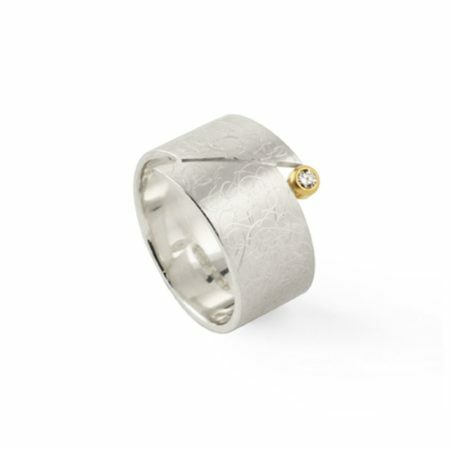 This ring can be worn on its own or to complement other pieces in this range. Approximately 6.5mm wide.